In the study, published today in the Journal of Epidemiology and Community Health, Michel Janosz of UdeM's School of Psycho-Education and his international team looked at a stratified cohort of nearly 4,000 Quebec high-school students. 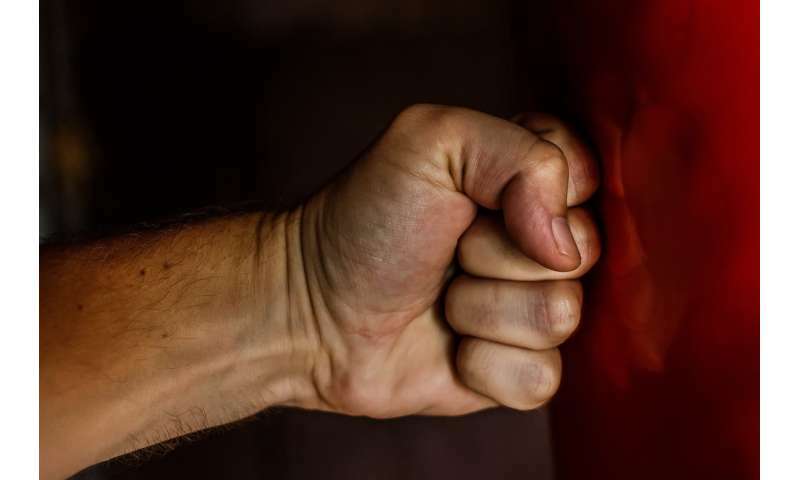 The researchers statistically tested the relationship between witnessing school violence in Grade 8 and subsequent antisocial behavior (drug use, delinquency), emotional distress (social anxiety, depressive symptoms), and academic adjustment (school achievement, engagement) in Grade 10. They also compared the relative contribution of differing forms of witnessing school violence and compared them to experiencing violence directly over the long term. "The Quebec cohort was ideal because we had psychological information on the students before witnessing the violence and this really makes a big difference scientifically in terms of rigor," he continued. "There was less interference from confounders and other plausible explanations. Plus, we were able to follow up with the the students a couple of years later—a huge advantage." Rubbish! From personal and other people's experience, schoolyard violence just becomes a shared experience to chortle on the older we grow! The tales get more graphic as time passes! Even if injuries happen, it just becomes part of growing up! Just another case of 'tail wag the dog' research! Waste of time and money by form, finance & finagle research to support the current fad!